UPDATE: Sadly, the baby boy, named Amiad Yisrael, died three days after he was born. He was laid to rest at the Mount of Olives on Thursday. You can read more here. On Sunday evening a pregnant Israeli woman was shot by Palestinian terrorists along with four other civilians. Now her parents have spoken about her condition. 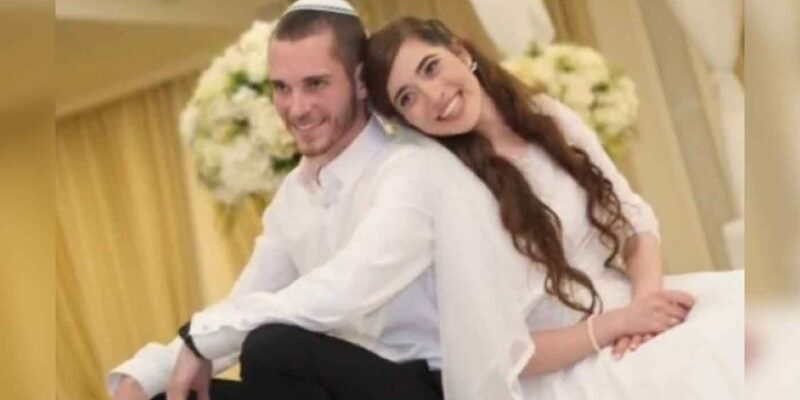 The condition of a pregnant woman, Shira, who was critically injured in a terror attack outside Ofra, in the so-called West Bank, on Sunday is steadily improving, the hospital where she is being treated said Tuesday morning. The hospital also said the condition of her infant son, who was delivered by emergency C-section late Sunday night after the attack, continued to deteriorate. The attack took place on Sunday evening just outside Ofra in the so-called West Bank. A Palestinian car with two occupants drove past a bus stop and opened fire on people waiting there before driving off. The six victims were all civilians. “Shots were fired at Israeli civilians standing at a bus station from a passing Palestinian vehicle,” the IDF Spokesperson said in a statement late Sunday night. The injured woman’s husband was also injured in the attack. He underwent surgery and is in a stable condition. Another man in his early twenties was hospitalized with moderate injuries, and two 16-year-old girls with light injuries were taken to Hadassah Hospital Ein Kerem in the capital. The IDF, border police and security services on Tuesday continued the manhunt for the terrorists in the so-called West Bank. Hamas has praised the attack as “heroic”.